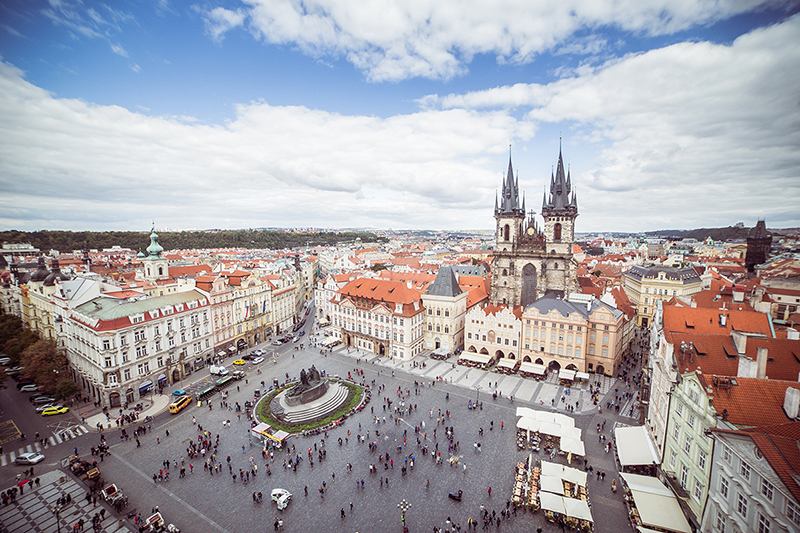 The 12th International Modelica Conference will be held at Clarion Congress Hotel Prague, Czech Republic, May 15–17, 2017. It is organized by The Czech Society for Cybernetics and Informatics (CSKI) and the Modelica Association. In addition to paper presentations and poster sessions, the conference features several Modelica tutorials for beginners and advanced users, as well as vendor presentations, and an exhibition. The previous Modelica conference in 2015 was attended by more than 400 participants from all over the world, and we would like to welcome even more participants to this conference. The conference will take place at Clarion Congress Hotel Prague located in a modern part of Prague − Vysočany, only 11 minutes by metro from the historical centre of Prague. For more information about how to get there and accomodation see the VENUE DETAILS. Modelica is a freely available, equation-based, object-oriented language for convenient and efficient modeling of complex, multidomain cyber-physical systems described by ordinary differential, difference and algebraic equations. The Modelica language and the companion Modelica Standard Library have been utilized in demanding industrial applications, including full vehicle dynamics, power systems, robotics, hardware-in-the-loop simulations and embedded control systems. The Functional Mockup Interface (FMI) is an open standard for the tool-independent exchange of models and for co-simulation. It is supported by many Modelica and non-Modelica tools and is the key to utilizing Modelica models in non-Modelica environments. The Modelica conference will bring together people using Modelica and/or FMI for modeling, simulation, and control applications, Modelica language designers, Modelica and/or FMI tool vendors and Modelica library developers. • Other industrial applications, such as electric drives, power systems, aerospace, etc. During the first day of the Conference, tutorials and vendor session will be held. A commercial exhibition will also be arranged in conjunction to the conference. The commercial exhibition will be integrated with the session halls, poster exhibition and the catering services and will thus be an excellent exhibition window towards the expected 400-500 delegates. The exhibition will be open during conference hours. There are also various options to sponsor the conference. For more information, please check the Other Calls page. More information to the Calls for vendor session, tutorial/workshop, and sponsoring opportunities will be given soon. It is planned that the best scored 10 % of the reviewed papers are invited to be submitted in an improved and extended form for a special issue of an open access, ISI-referenced journal. The conference is organized by “The Czech Society for Cybernetics and Informatics (CSKI)” and Politecnico di Milano in cooperation with the Modelica Association.